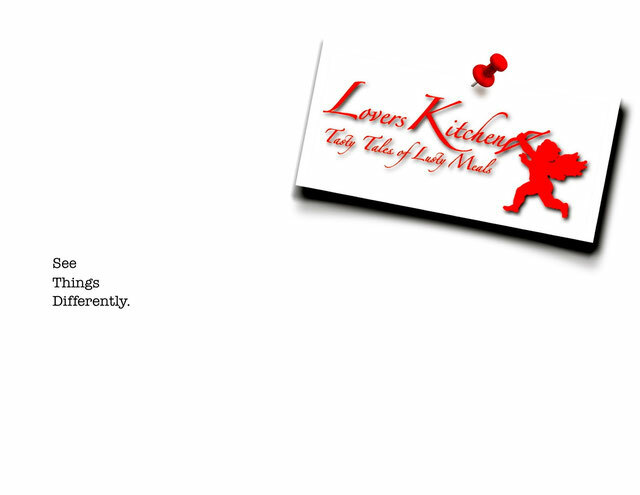 The idea for Lovers Kitchen came to me shortly after the millennium, while living in Northern California with Umberto. Cooking together was our consuming passion. 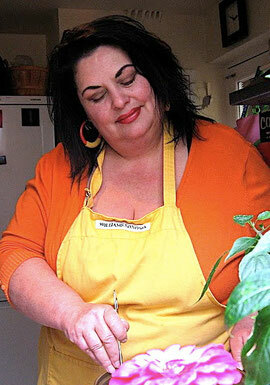 I had never made meals with such a naturally intuitive, joyful chef, especially when it came to all things Italian. There wasn't a recipe, just a lifetime of everyday experience, combined with unbridled enthusiasm for thoughtfully prepared, home cooked feasts. While most of the men in my life have known their way around the kitchen, for Umberto, father of four, grandfather of nine, the kitchen is all of life. It’s where everything that matters happens. Throw in some opera; a couple of playful terriers; a few bottles of good Chianti; a table overflowing with fresh, seasonal ingredients; a generous wedge of Parmigiano Reggiano, and you have his recipe for domestic bliss. I met JJ the week I moved to New Jersey from Northern California. It was early spring when everything comes alive. Our first date was a hand-holding-stroll along the Navesink River. Our hands fit perfectly, as if they were made to be intertwined forever. It was a startling discovery. I have never felt such an organic physical connection with another person. We suppered at a popular Red Bank diner called The Broadway. It was the perfect setting for a New York actor and a California ad woman. Everybody needs an accomplice in life. JJ is mine. We wooed and courted each other in the kitchen, creating aphrodisiacs we called "the perfect bite." We experimented with taste combinations and textures. We plotted and entered recipe contests. We read each other food articles and cookery books in bed. For inspiration, we sought out the best specialty and farmer's markets, delis and diners, pizzerias, hotdog, burger and barbecue joints, ice cream stands and chowder houses on the eastern seaboard. Whenever we tasted something truly marvellous, we attempted to recreate it at home. Cooking and eating together was a full body experience. Sometimes it was an out of body experience. It was theatre. It was romance, comedy, drama, and occasionally a mystery. It was addictive and intoxicating. The more pleasurable the meals, the more pleasurable meals we craved. 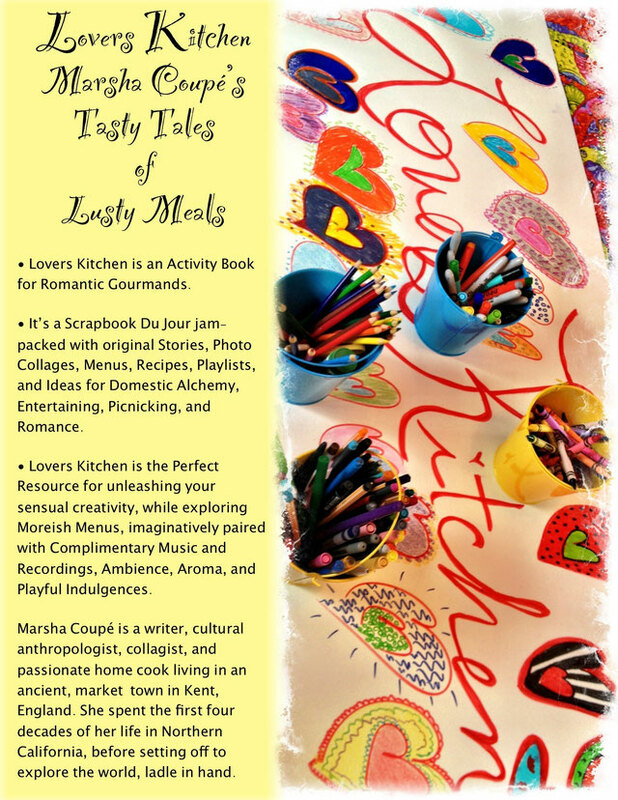 There was so much love in our kitchen, we took to calling it "Lovers Kitchen," while I filled stacks of notebooks with recipes and commentary filed under "Tales of Fearless Feasting and Culinary Coupling." 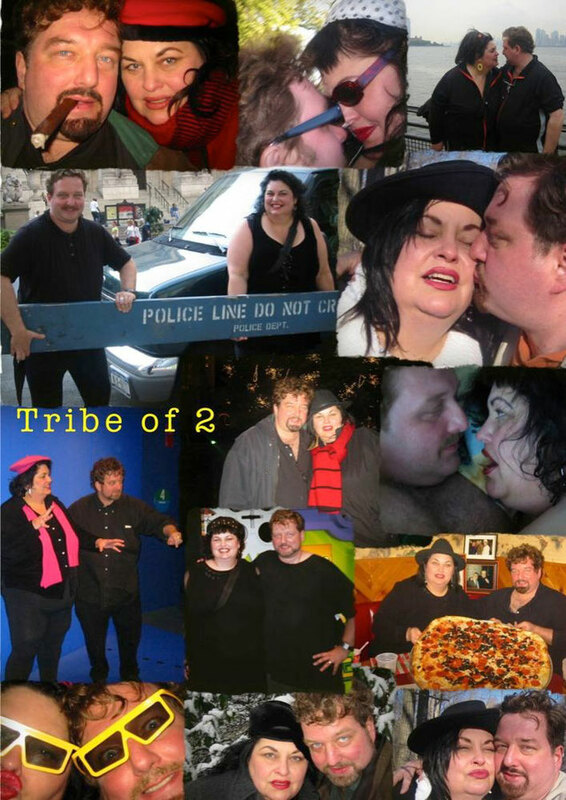 Aaah, but not every great union is destined to last a lifetime. In my case this seems particularly true. Three years after moving to New Jersey, I was married to a dashing Englishman, living near London. Richard was such an excellent husband in every other way, I easily forgave him for having little interest in culinary pursuits. He appreciated elegantly prepared meals and was endlessly patient with my attempts to master British cookery, his personal favourite. Fortunately, he also appreciated Italian, French and American cuisine. The first couple of years living with Richard felt like a storybook. How could it not? Here I was living in the same, exact spot as Peter Rabbit, Winnie-The-Pooh, Alice in Wonderland, and Mary Poppins. I was captivated by the fairytale landscape of castles and moats; Narrow boats floating through medieval canals; One majestic bridge after another, spanning the mighty Thames; Green rolling hills, dotted with rustic farm shops; Nurseries, located at the end of long, rutted, single lane roads; Forests of English bluebells and miles of yellow rapeseed; Lavender fields to rival those of France; Hedgerows two stories high; Lambs, piglets, highland cattle, bunny rabbits, red fox and red squirrels, full-throated robins and blackbirds gracing a landscape once occupied by the Greeks and Romans; Sixteenth century pubs with ale that tasted nothing like the chemical stuff sold in America; Savory meat pies and crispy fish and chips; Creamy trifles and sculpted meringues, cleverly designed to appease a child's palate. Overnight, my life changed from an outsized oil painting, in reds, oranges and purple, to a series of skillful water colours, in soothing shades of greens and blues. Richard's England was the right place, at the right time, for me. My husband delighted in showing off his gorgeous country. He took great pride in the natural beauty of the British Isles. We travelled from one end of GrEAT Britain to the other, with leisurely stops in Devon, Somerset, East Sussex, Surrey, The Lake District, Manchester, and Scotland. The Kent and Surrey countryside, along with London, was our playground. 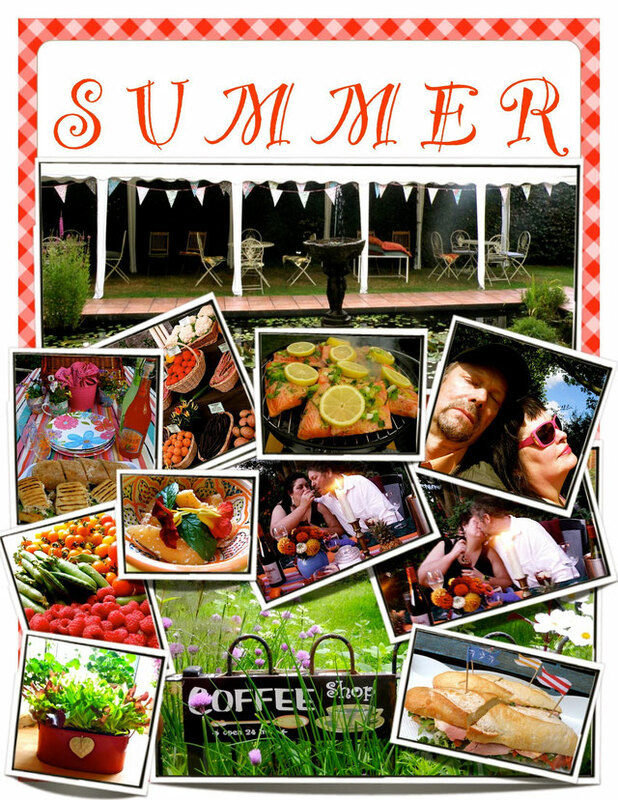 While exploring these places, I fell in love with British cheese, fish, meat, and ale. Tea too, took on new significance as my husband skillfully tutored me in George Orwell's "Eleven Sacred Rules to Tea Making." 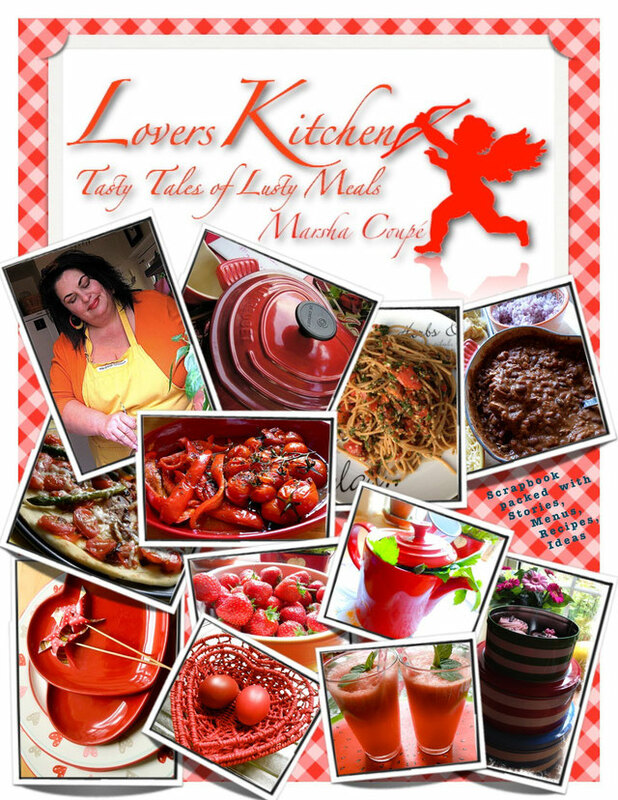 Lovers Kitchen gradually grew into an activity book. Richard began making complimentary music compilations for our dinner parties. Both of us being playful people, it wasn't much of a stretch to come up with all sorts of themes, games and activities for amusing ourselves, family and friends. Three years after moving to England, while writing "Lovers Kitchen" in earnest, Richard became seriously ill with a rare and deadly cancer. Eventually he would lose the ability to eat and drink. All of our time and resources were invested into trying to save my brave warrior's life. We battled for forty agonizing, white knuckled months. London became synonymous with the word "hospital." As Richard died, I felt like I was dying too. I wasn't at all certain I could pick up where I had left off. I was filled with doubt, anger and absolute terror over what had happened to us. Violent tears would overtake me at the most inopportune times. I began to believe my life would be forever defined by grief and mourning. I sunk into a deep, dark depression. Rebuilding my life seemed like a hopeless task. Through it all, the only thing I did not lose was my appetite. I remained hungry and eager to cook. After my husband's death, while going through his massive library, I came across several books he had bought me. I tearfully studied the devoted inscriptions he'd penned, humbled and heartbroken by his absence. Richard so believed Lovers Kitchen had a place in the world, I cannot help but believe it too. And so it turns out that the man who rarely shared my kitchen, the man who could not eat or drink for months on end, is the man who inspired me most. Pssst. Over here. Click above image for world's best pot roast recipe. ©Marsha Coupé. All Rights Reserved.